Sega Genesis Brings all new venerable Video Game Console! Home Tech News Sega Genesis Brings all new venerable Video Game Console! Sega Genesis, the impressive video game console is back in Brazil. TecToy has started taking orders for the new console which is very much similar to the original game library and controllers in a cartridge slot. Sega Genesis will be sporting an SD card slot and support for A/V cables but not HDMI. It was originally released in North America in 1989 and was part of spirited battle for gaming fans hearts. Sega had Sonic, a blue hedgehog as its mascot and rival Nintendo had Mario. The model has volume controls and headphone jack in the front. This model is using emulation software running on the equivalent of a crappy Android phone to play Genesis games and while they look and feel good but the sound quality is very poor. This console is not manufactured by Sega but is made with company’s approval and bears their official logo. In Brazil, around 150,000 units of SEGA Genesis are still sold every year. Classic black player will have 64KB memory and 8KB RAM. 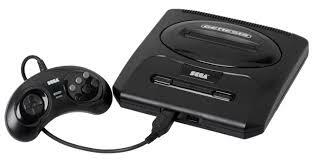 Sega Genesis had left making making hardware long back and started manufacturing software. Console and controller costs 400 Brazilian Real which is around $125 but it does not look like it can be directly shipped from TecToy’s website. Pricing of this gaming console would be $449 Brazilian Reals or $138 and will be available for pre-order on TecToy’s website. If you want to import this system to Japan it will be costly as online retailer Welte would be charging 21,800 yen (US$210). This gaming console is sure to evoke many old memories of the people who used to play and love Sega games. Let us hope that this gaming console will bring same old craze among the people.